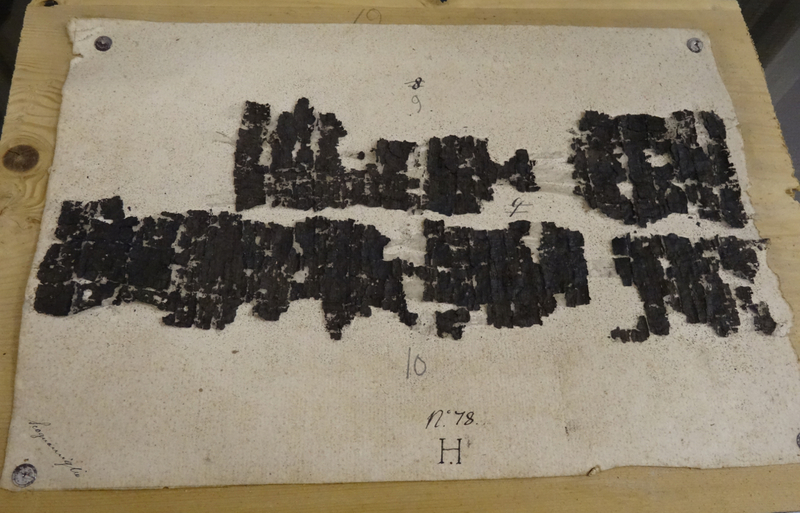 The photograph above is of a papyrus scroll from a private library buried by Vesuvius in AD 79. There are hundreds of scrolls like it, all scarred keepers of ancient thought. So far it has taken almost two thousand years to unpick a fraction of their secrets. 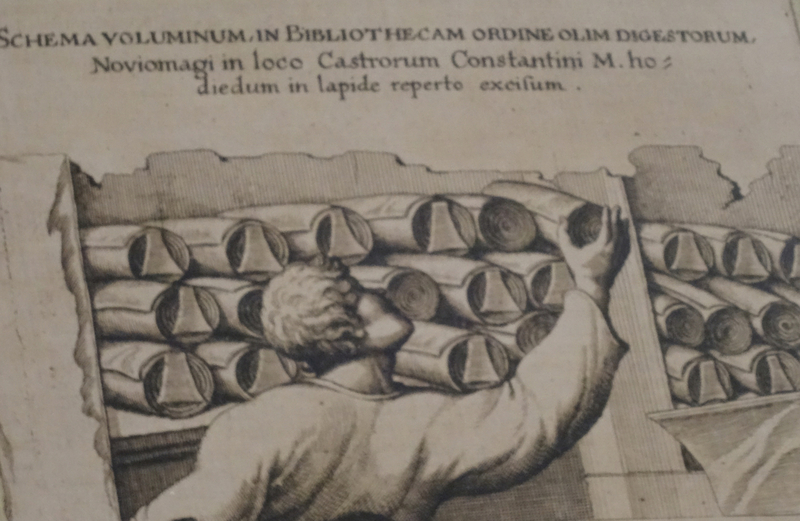 The scrolls were found buried in a large villa in Herculaneum where serious excavation work began in 1750. Since then determined, meticulous scholars from many disciplines and nations have worked to save the scrolls. Success has been mixed, but thanks to these efforts the intellectual curiosity that threads back to this ancient library has never been lost. Many of the works so far revealed are in Greek and belonged to the philosopher Philodemus of Gadara, a follower of Epicurus. Other texts are in Latin. 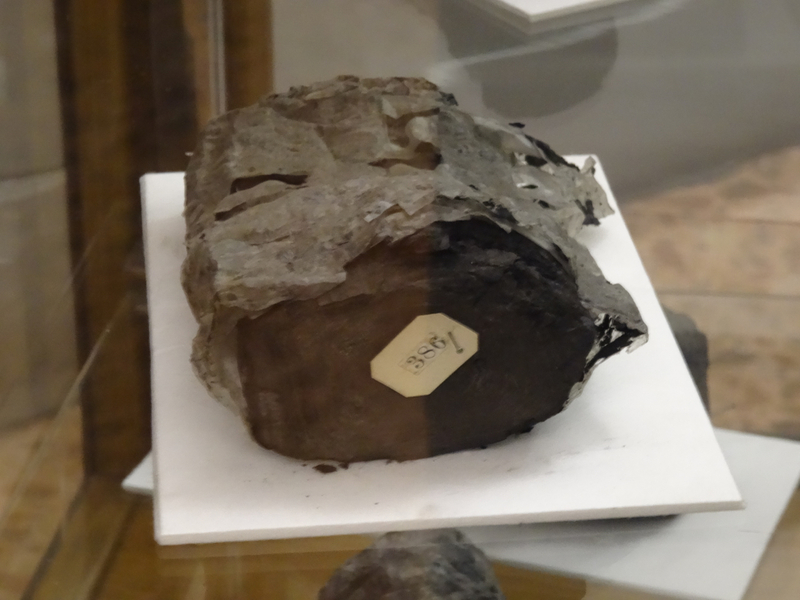 My first visit to the Herculaneum Papyri in the Biblioteca Nazionale di Napoli was in autumn last year. A few weeks ago I went again. 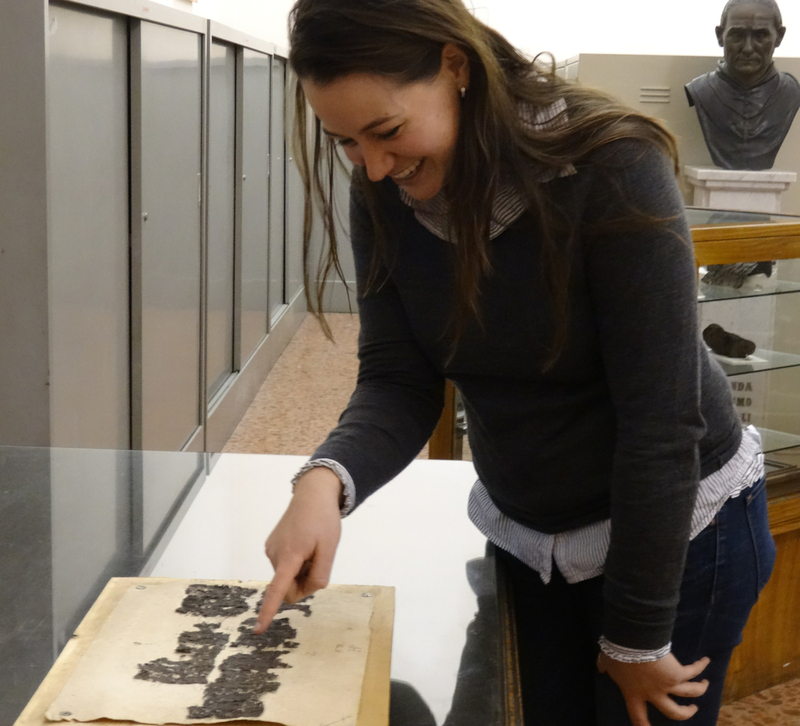 Our guide was Sarah Hendriks – a young fellowship holder with CISPE (Centro Internazionale Studio dei Papiri Ercolanesi). A classicist, born and educated in Australia, she arrived in Naples after further study at Oxford University and then Cambridge. Her work in the Biblioteca Nazionale di Napoli focuses on the Latin texts amongst the papyri scrolls. The work is detailed, and progress so slow it is almost impossible to translate into a measurement that anyone other than a fellow papyrologist working on the papiri Ercolanesi would understand. Surprisingly mathematics is a useful tool. The length of a scroll can be calculated from its circumference and thickness, and from this the size of each circumference towards the centre can be worked out which helps to place loose fragments of text. Then, on top of such calculations, there are hours, days, even weeks, trying to decipher just one letter, or slither of a letter, amongst the dark fragments. This level of care is nothing new. Abbot Antonio Piaggio, conserver of ancient manuscripts in the Vatican Library, managed to unroll the first flaking scroll in 1756. He used a specially designed machine – the best at the time – but it still took him many months. Today there are newer technologies available and the hope is that it may soon be possible to bypass the need to unroll the papyri Ercolanesi at all. Should such imaging techniques prove successful it may well mean extra work for the ‘extreme papyrologists’ … but at least it should be slightly easier. This entry was posted in Italy, Naples, Other discoveries in Naples and tagged Biblioteca Nazionale di Napoli, CISPE (Centro Internazionale Studio dei Papiri Ercolanesi), Herculaneum, Herculaneum papyri, Naples, papyrus scroll, Sarah Hendriks, scroll, Vesuvius. Bookmark the permalink. Now, that is not a task I would be clamouring to do. Such devotion! So close to impossible I don’t know how they manage to keep going. A look back (this was first published on 30 March 2015): I’m new to papyrology but I’ve never seen anything as brain-crackingly slow or detailed as the work being done by these academics. So right – and it demands an awful lot of the eyes. I think those under 40 are best suited to the intense scrutiny needed, sometimes for hours at a time. Truly … and so painstaking!